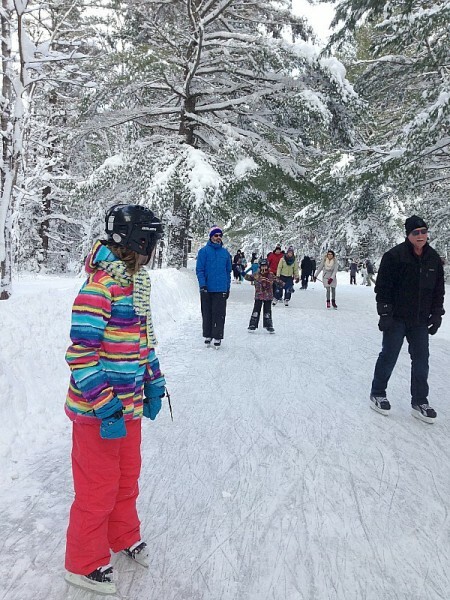 Over the holiday break there was only one thing that our family wanted to do…head north and skate at Arrowhead Provincial Park. Every year on my birthday we go ice skating. 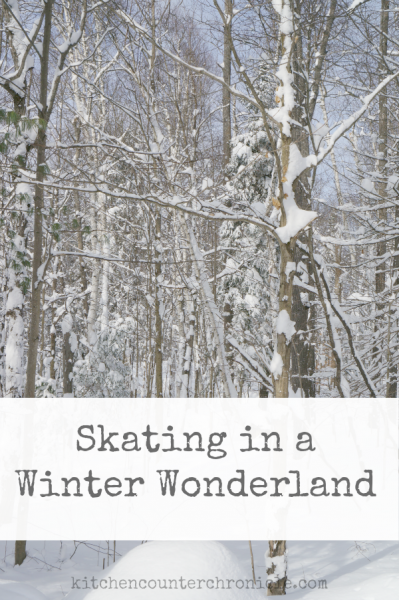 There is nothing I love more than being on my skates…really. I grew up wearing skates. I know, that sounds totally Canadian, right? It’s true. 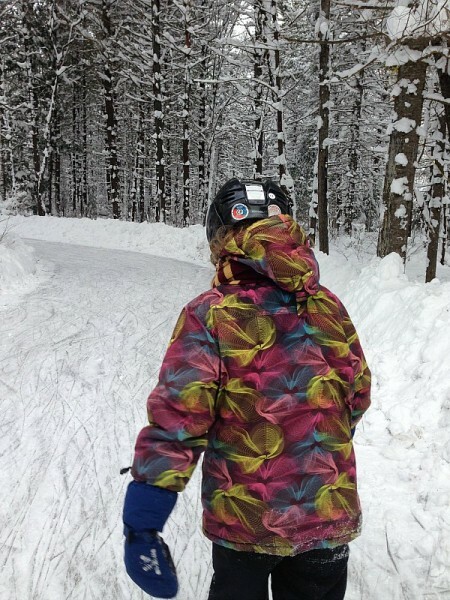 We had heard so much about Arrowhead Provincial Park’s skating trail that we absolutely had to go. Unfortunately, the weather was not cooperating. 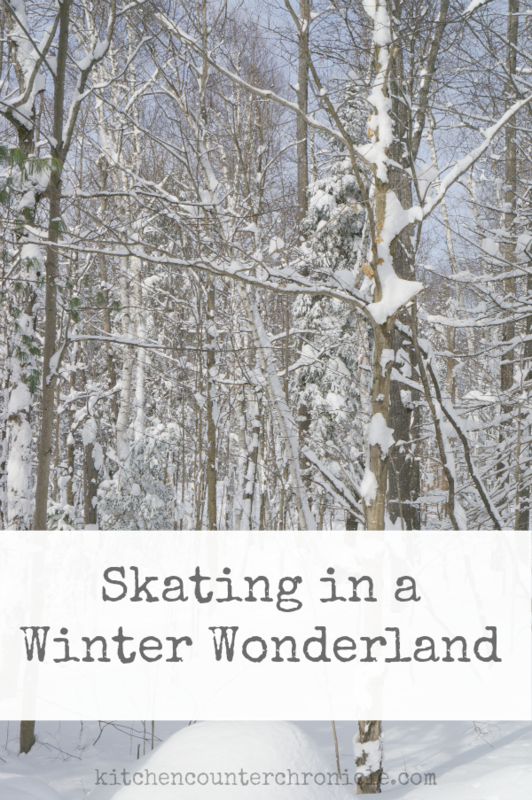 After all you can’t skate on a sloppy, melted trail of slush. The weather was too crazy warm. Even 2 1/2 hours north of Toronto. So, we missed my birthday skate. However, eventually the temperatures dipped, the snow fell and the trail opened on the one day we were actually available to go. We packed up all of our gear; skates, helmets, snow pants, hats, mittens and we made the drive to Huntsville, Ontario. The sun was shining, the roads were clear, we had perfect driving conditions. When we arrived at Arrowhead Provincial Park we were greeted by a line of visitors at the entrance booth. 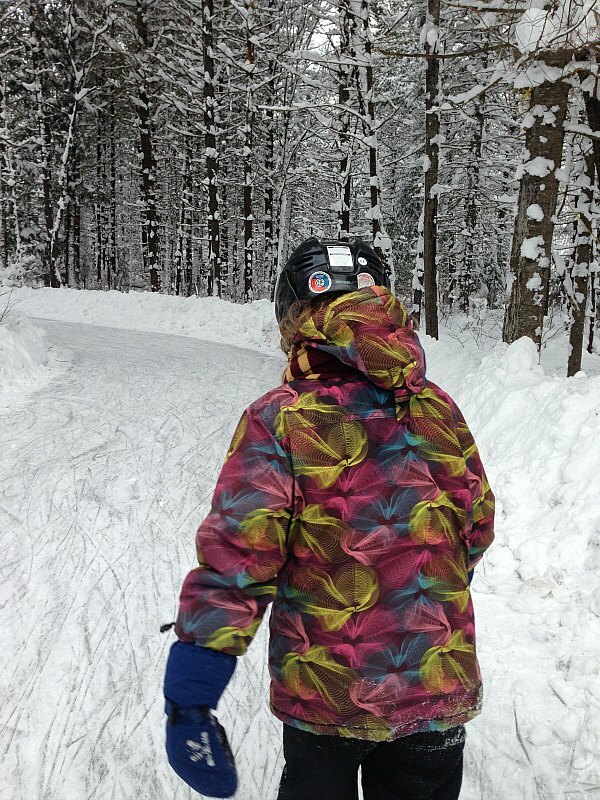 The park is home to beautiful cross country ski trails, snow shoe trails, a tubing hill and the skate trail. The park is a popular spot for winter warriors to come and play in the snow. I grabbed a parking pass and we made our way to the skate trail. After parking, we quickly hit the public washrooms (there are plenty) and changed into our skates at the outdoor benches provided. 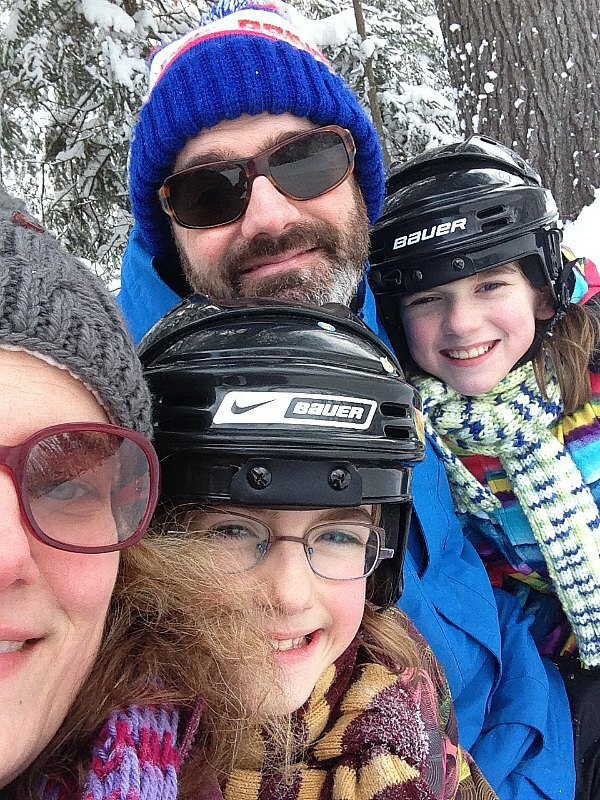 A little tip for families…we keep everyone’s skates and helmets in one hockey bag…that way we can put our boots in the bag and store the big bag while we go and skate. Then we hit the ice. 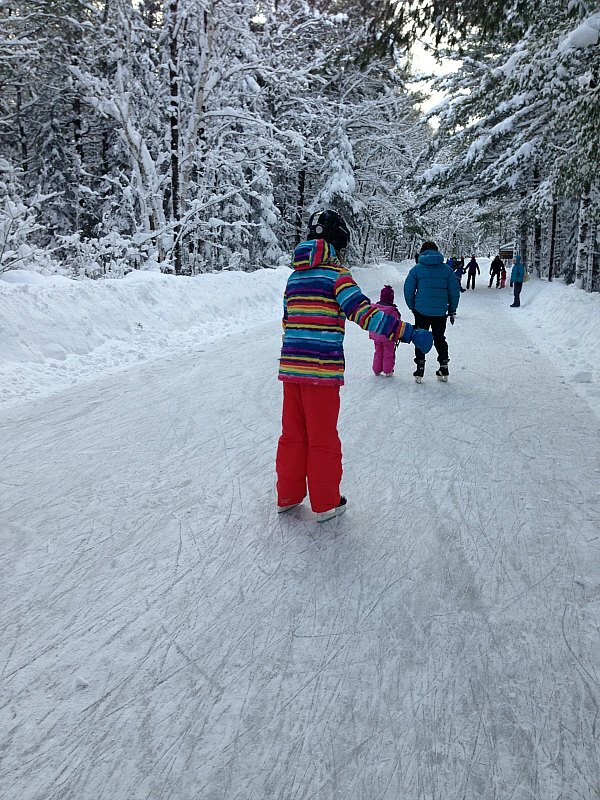 The skating trail is 1.3 kilometres long. It winds through the park’s camp grounds. They had just had a significant snowfall, so the trees were covered with fresh snow. Seriously, picture postcard perfection. As we drove home, again with perfect driving conditions, I knew that spectacular day was one that I would lock in my memory bank. That was a day that will give me strength on difficult days that I might face in the future. 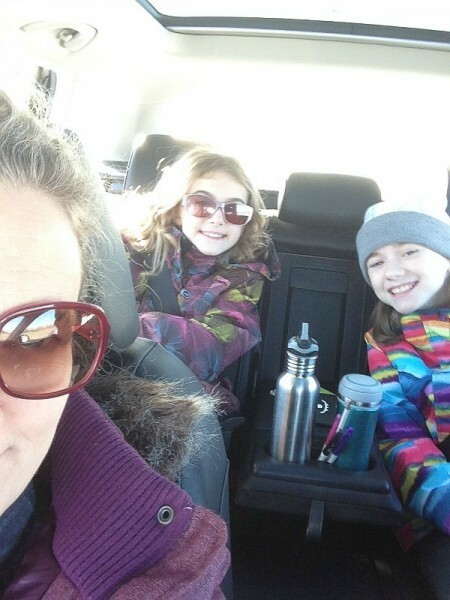 We laughed, we sang music in the car, we skated, we played in the snow, we smiled and had an amazing day skating in a winter wonderland. 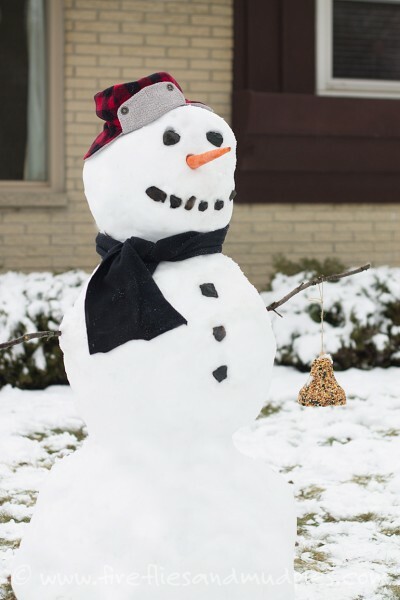 Firefly and Mudpies super cute snowman….complete with treats for winter birds and animals. 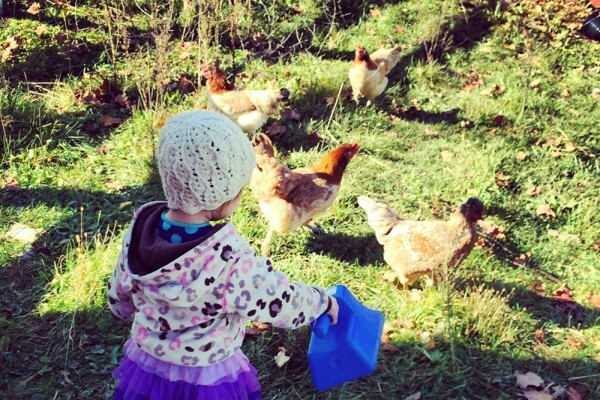 Wilder Child’s nature loving new year’s resolutions. Such pretty trees with the snow on. Lovely to have happy family times and have photos of it too. It was a particularly beautiful day. Thanks for stopping by. Wow! I’ve never heard of an ice skating trail before. Sounds like a fun place to spend time outside. Skating trails are popping up everywhere. I guess we all got tired of skating in circles. How… wonderful. Here in Australia we are having blistering heat. In fact it’s SO hot that while we had friends over we pulled out some cheese and crackers. It took less than five minutes for the cheese to start sweating. How gross! Anyway, your lovely images made me long for the snow and at the same time it felt a degree colder. Thank you! 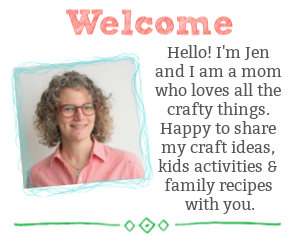 Glad I could help add a little coolness to your heat wave Penny!